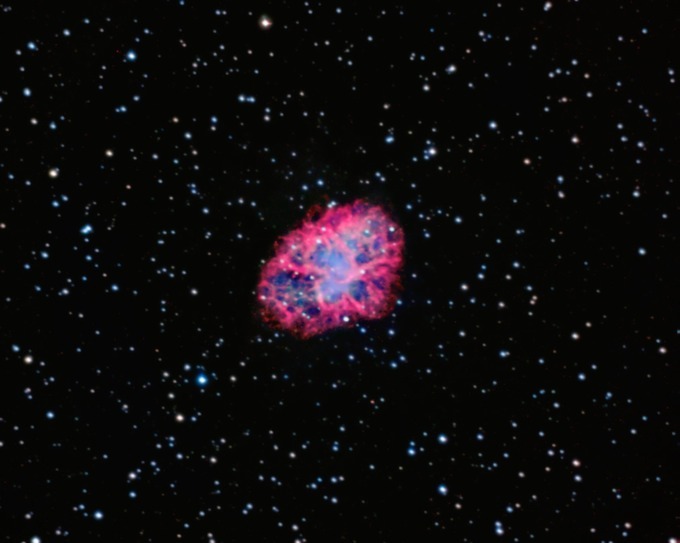 M1, the Crab Nebula, in the constellation Taurus. This is my first STL-11000M color processing attempt. L+Ha, R+Ha, G, B+10% Ha. Number of sub-images and exposure: RGB each are 10 x 5min, L is 19 x 5 min, Ha is 12 x 5 min (for Ha, the best of two nights were used). Filters: Astrodon luminance, red, green, blue, and hydrogen-alpha.